Arrow Video’s 4K Blu-ray restoration of John Carpenter’s The Thing isn’t out until October, but the cover art is here, and it’s perfect. 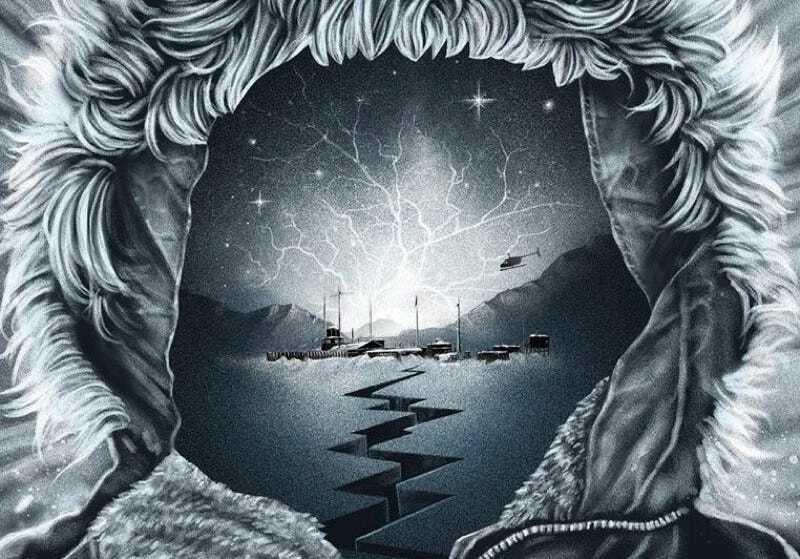 It features the iconic, fur-trimmed parka seen on the film’s poster, but instead of a blinding beam of light, its hood reveals a stylized depiction of the movie’s Antarctic setting. The Arrow Video release—which comes packaged in a steelbook decorated with the original Thing art, too—is limited to just 4,000 units, and response to yesterday’s announcement was so enthusiastic that you can’t even access the Arrow site right now. However, you can still pre-order the Blu-ray through Amazon. It will be released October 23.